Panel pulls up the National Film Archives of India, but itself hasn’t met since August 2018, raising questions over the seriousness of the project. New Delhi: An inquiry panel set up to look into the Centre’s ambitious films preservation and archiving project has taken Pune’s National Film Archives of India (NFAI) to task. The panel’s interim report has pulled up the government body for the “total disarray” its film preservation wing is in, the unaccounted release of Rs 40 crore for digitisation of films, and lack of a proper manual for film preservation, among other lapses. Last year, the Information and Broadcasting (I&B) Ministry had ordered an inquiry into the National Film Heritage Mission (NFHM). The NFAI is the film preservation body under the ministry. However, it is also learnt that the inquiry committee, which comprises senior ministry officials and film preservation experts like Shaji Karun and NFAI director K.S. Sasidharan, has not met since August 2018. This has raised questions over the government’s own seriousness about film preservation. So far, the NFAI has managed to digitise 569 films. Of these, 329 films were auto-restored, while two others were restored frame-by-frame. The report did not specify what techniques were used to restore the others. The panel, however, suggested that the quality of these films be thoroughly checked. It also stated that it found several decayed film materials and rusted cans within the film vaults of the NFAI. It suggested that unserviceable elements from film vaults should be segregated and discarded, so that they don’t corrupt other important celluloid materials. In order to assess the exact number of films lost, the panel in terms of archival history will need a digital record of the complete list of films, reels and materials acquired from government film bodies such as the National Film Development Corporation, Films Division, Directorate of Film Festivals, and the Central Board of Film Certification. It suggested that NFAI should complete the RFID tagging of films for better management. The panel further found that the job of digitising and restoring some versions of film titles was carried out in a haphazard way, with bills worth nearly Rs 40 crore passed without proper checks. “The end-products that came to the archive were not thoroughly checked before certifying them for releasing payments. In the view of the committee, this is a serious lapse,” the report said. The panel also found that the acquisition registers for the films were not updated, and called this a poor reflection on the overall functioning of the preservation wing. “In short, the preservation department, which is the artery of the organisation, appears to be in total disarray,” the report said, adding that the preservation officer should be in the vicinity of film storage, and not located far away from the vaults. It also said there was a severe shortage of staff in the preservation department, and said this should be addressed on priority. The NFHM aims to preserve, restore, digitise and archive films and filmic material — such as posters, photos, song booklets, pamphlets, press clippings, slides, transparencies and glass negatives. The mission is being implemented through NFAI. An amount of Rs 597.41 crore had been earmarked for the NFHM, work on which had to be undertaken between 2014-15 and 2020-21. 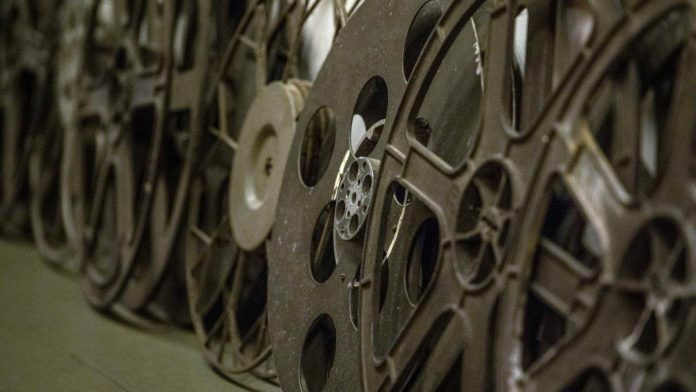 Last year, the I&B ministry launched a film condition assessment project — as the first phase of the NFHM — which aimed to assess and preserve almost 1.32 lakh film reels at the NFAI. The mission also aimed to digitise 1,050 feature films and 1,200 shorts, construct archival and preservation facilities in dust-free, low-humidity, and low-temperature conditions at the NFAI campus. It planned to hold training workshops and courses in the fields of conservation, preservation, and archiving, in coordination with international agencies.